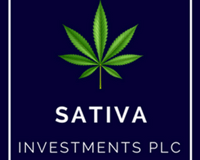 In a short Q&A session with Sativa Investments PLC (NEX:SATI) Chief Executive Officer Geremy Thomas discusses that practicalities of growing cannabis. Geremy you initially grew hemp plants, what is it that’s different between hemp and cannabis plants? The cannabis plant produces cannabinoids, THC is the compound that makes people high, CBD is a compound that is very much associated with the wellness industry here. The hemp plants that we grew had no THC in them, in fact the licence conditions are very strict on that. So, your next step is to grow a strain that does contain THC but under glass, can you talk us through this next plan? We have a test facility here which will allow us to grow different strains of cannabis to assess, with our laboratory here, the cannabinoid content from each plant strain. We also interested in testing different forms of hydroponic medium and we’re also looking at different forms of lighting. How realistic is growing cannabis as there seems that there is a lot of interest among farmers who might have a glasshouse already for tomatoes? I don’t think it is realistic, our glasshouse is going to be equipped with black-out blinds because the plants need finite periods of light and dark, the plants are very sensitive to microbial pests in the area, it’s a complicated and expensive exercise. 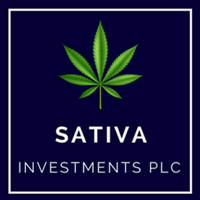 Having said that, the hemp opportunity is bigger, I think once the rules have changed for growing hemp outside to be processed for CBP oil, I think that is a very exciting thing and I think that will be with us in a reasonably short period of time.